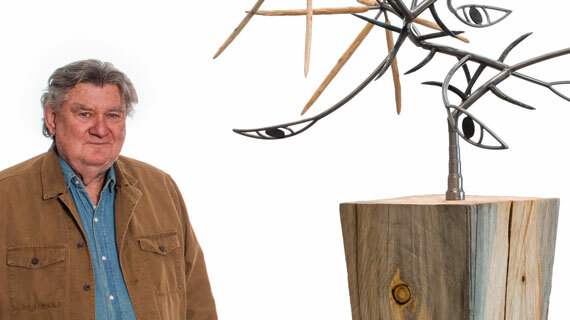 CEDAR CITY — An award winning sculptor is coming Southern Utah University, where art lovers have also been able to find his exhibition since July at the Southern Utah Museum of Art. The art of James Surls, a modernist artist from Texas, is currently on display through his “Across the Universe Divide” exhibit at SUMA in Cedar City. Surls will present a public lecture Thursday, discussing his process as an artist, where he finds inspiration for his work and past stories that led him to great success. 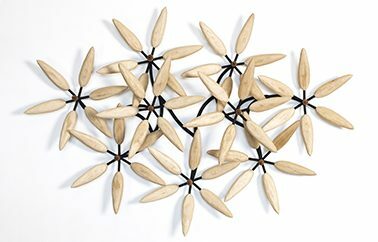 Surls’ sculptures featured in the SUMA exhibit depict abstract forms made of wood, steel and bronze that are inspired by flowers, the human body and rock formations. He has has received numerous honors for his work, including the Texas Medal of Arts Awards in the Visual Arts from the Texas Cultural Trust in 2013, and was named Artist of the Year by the American Institute of Architecture – Houston in 2012. What: Lecture by James Surls, an award winning sculptor with art on display at the Southern Utah Art Museum. When: Thursday, Sept. 20 at 7 p.m.
Where: The Great Hall in the Hunter Conference Center at Southern Utah University, located at 351 W University Blvd., Cedar City.